Physical fitness is an important asset for your health and is a key element for a happy, well-balanced life. 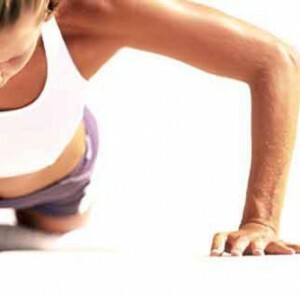 Physical activity helps you to have a strong and toned body but also to cope with your stressful and busy London life. One to two hours per week can reduce your level of stress by more than half. Indeed, during a physical activity your body secrets endorphins, helping you to relax after a long day at work and this while shaping and toning your body. In each session our London physiotherapist, also qualified fitness instructor, will help you to achieve your goals whether they are physical or mental. We are offering a wide range of exercises tailored to your preferences and your performances, to keep you motivated. Whether you are a business man who wants to shape his body, a busy mum who wants to tone up, or if you just don’t have time to go to the gym, our fitness instructor will come to make you work out anywhere you are in London, whether you prefer to do it at work, at home or in your hotel room. As our London fitness instructor is also a qualified physiotherapist, each exercise focuses on using the correct technique and a good alignment to strengthen your core and improve your posture effectively and safely. You will shape your body and muscles without putting your joints or back in danger. Working out with our London fitness instructor-physiotherapist is ideal. Indeed, you can combine your fitness session with a sport or comfort massage or a manual lymphatic drainage to get rid of the cellulite. We propose you short or long term programs, intensive or regular, depending on the goals you want to achieve. Our hours are flexible to fit your schedule. All this could be looked at either a treatment or a preventive cure for many problems due to nowadays sedentary lifestyle. Your place will become your own gym in the comfort of your home! If you want to work out with some friends, group sessions can be organised and will reduce the cost of your session. Please contact us for a quote. Exercise aimed at promoting a good posture, which is of a vital importance during pregnancy. about how to cope with back pain and to transfer safely from one position to another.